We want to serve you in every way possible. Therefore, we have created the ConneXions Membership which gives you access to new and exclusive One-On-One videos and Life Q&A's, as well as conferences! In addition, before our membership release our workbooks or DVDs were only accessible through buying the physical copy. Thankfully, now you are able to read and watch all workbooks and DVDs from the comfort of your phone, tablet, or computer. We are working hard to make this even more comfortable with our soon-to-be released ConneXions App! Sign up today to get all the magical and practical benefits of our Gold Membership! Victim is the #1 cause of unhappiness in the world. If this is true, wouldn't you want to know more about it? Listen to the ConneXions Podcast Episode 103: Victim–Entitled Irresponsibility for more detail. 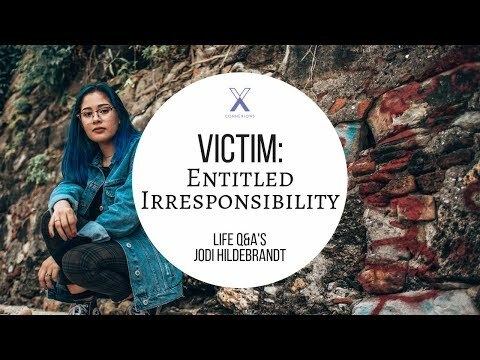 Hi, I'm Jodi Hildebrandt. I'm an educator of human connection, author of 17 workbooks, & have produced over 100 podcasts. In 2006, I started my personal practice. During this time I learned valuable lessons on how honesty, responsibility, & humility create connection with self, others, & God. As I saw how people with addictions, fears, & sadness were changing their lives as they chose to live these principles, I decided to found ConneXions—which has been rapidly growing since 2012. I love to work with people and see them change. I'm very passionate about this work and seeing it go throughout the world. I look forward to working with you and seeing you find peace, happiness, and freedom in your life.